We said farewell to Rev.Bob Younger in June 2000, and started the process to seek a new Minister. The process of calling a new minister to the Church started in the summer of 1999, when Bob Younger formally announced his intention to retire on his 65th birthday in June 2000. Bob hoped that this would give the Church time to find a new Minister to take over when he retired so that a long interregnum could be avoided. The Church created its own profile to send to prospective ministers and the Church’s Moderator, Glyn Prosser, led the Deacons through some seventy to eighty minister’s profiles (no small job!). Several invitations were issued by the Deacons to meet with ministers who all declined. And then one minister did respond and met with the Deacons and Church. The Church got to the point of calling him to the Pastorate but he declined as he did not have anywhere to live and the Church did not have a manse. Whilst the Church had been sure that God was calling him to Knaphill, the message from God was actually “you need to get a manse”. Some hectic months then followed working through the process of purchasing a manse, which you will find below. The Deacons met with a couple of other people as prospective candidates but there was always a maybe/maybe not. And then, both through the official channels and through word of mouth, the Deacons learned of a minister in the Sussex area who had just finished at his current church. Was this a co-incidence? A meeting was set up with Gordon Steer and then there was a bombshell. The Church Secretary, Brenda Rice, died suddenly around two days before Gordon was due to visit. It was decided that the meeting should go ahead and the Deacons met with Gordon. As a result, Gordon was invited back to meet with the Church and to “preach with a view to the Pastorate of the Church” and a unanimous invitation was issued to Gordon Steer to come and be the next Minister of our church. 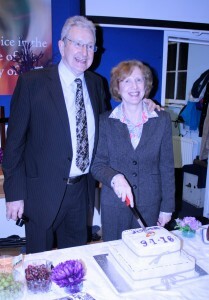 Gordon was formally inducted into the Pastorate of the Church on the 18th September 2004. One of the clear messages God gave the church at this time was to buy a manse. It was the first time the church had owned one and took a big step of faith financially. Although the 4 years without a minister were difficult for us as humans, with hindsight it is clear that the Lord engineered the gap to release the finance to repay the loans. It required a lot of work to refurbish, a job that we finished just minutes before Gordon moved in, despite three years to get it done! The Deacons met with a couple of other people as prospective candidates but there was always a maybe/maybe not. And then, both through the official channels and through word of mouth, the Deacons learned of a minister in the Sussex area who had just finished at his current church. Was this a co-incidence? A meeting was set up with Gordon Steer when there was a sudden bombshell. Our Church Secretary, Brenda Rice, died suddenly around two days before Gordon was due to visit. It was decided that the meeting should still go ahead and the Deacons met with Gordon as planned. As a result, Gordon was invited back to meet with the Church and to “preach with a view to the Pastorate of the Church” and a unanimous invitation was issued to Gordon Steer to come and be the next Minister of our church. Gordon was formally inducted into the Pastorate of the Church on the 18th September 2004. Gordon’s four years with us were years of rebuilding spiritually. We and he always knew that he would only be with us four years, and right from the outset Gordon set about preparing us for our next minister. The church moved on musically, re-establishing its music group in worship and learning new songs. A weekly bible study encouraged God’s word to be put at the centre of life in the church, and Gordon’s bible based preaching brought the Word of God to life in the services. The time came for Gordon to confirm his retirement in June 2008, and the search started for a new minister. 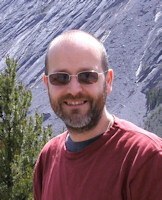 Alan Toombs, until recently an Elder at Godalming Baptist Church, and who had preached at KBC on several occasions was approached and agreed to act as moderator. So it was with no small amount of trepidation that we started the search. We decided as a church to target the student exit of 2008. However, everybody was still very focused on “we can’t take another 4 years to find the next one”. But God was again very gracious. As most churches do, we prepared our profile, met with the regional minister, and prayed. We hit the National Settlement meeting in November 2007, and received an unprecedented 7 names. There were 5 students and 2 old hands. We met with three, and quickly shortlisted two. Both were invited to visit and preach in January. The Lord’s was clearly in everything – one politely said no thanks, and the other – Richard – quickly accepted an invitation to spend a weekend meeting the church and preaching with a view. As well as Richard preaching, we grilled him hard over tea, and then enjoyed another weekend of fellowship before issuing an invitation to the pastorate. God has been so good. He knew we (as humans) couldn’t take the stresses of an extended period of uncertainty; He had Richard’s name in the first batch we received; He made it clear in more than one way that Richard was the person we should be inviting; He ensured Richard said “Yes” quickly. Richard graduated with a first class honours degree in July and was ordained at his sending church in Magor, South Wales on 28th June 2008. The induction service on 20th September 2008 was led by our Moderator, Alan Toombs. The ceremony of induction was conducted by the Regional Minister, Rev. Norman Tharby, and Rev. Roy Kearsley, Lecturer in Theology at South Wales Baptist College, preached. Representatives from local organisations and churches including his Worship the Mayor of Woking attended and brought greetings to Richard. Richard had very little time to rest on his laurels, he quickly established himself within the Church setting us challenges for the year ahead. The church was already working on updating the chapel, something Gordon identified as a priority before he left. The interior decoration had not been altered since the 1950’s, and although new flooring had been installed in the 1970’s with the paint refreshed occasionally, it needed some serious work. New panelling was installed to the lower half of the walls and the whole interior painted sky blue and white. The floor was carpeted completely rather than just along the aisle. New wooden padded chairs replaced the long-serving plastic ones following a trial of a number of styles, with many a light-hearted discussion with Richard on ensuring they were not ‘too’ comfortable, just in case people dozed off in a sermon! A new sound system was installed with projection systems for hymns and new flexible staging which could be stored when not needed replacing the fixed pulpit. It was a complete transformation of the inside of the church interior, but Richard expected the membership to transform as much as their building was. After all, a church is not the building it meets in, it’s the people and he soon set us a series of goals. One of the first was to get KBC known again in the community, being a small church between houses we could easily be overlooked, something Richard was determined to fix. He set our eyes outside the doors and that Christmas we hand delivered 1000 Christmas cards to houses around the church. Knocking on each door to personally deliver the card, this was not a mass mailing, it was a mass visit / blessing. Those who could not physically deliver cards prayed for those that could and this signified the start of us growing, both in confidence in God and as a church family. The cards have become a regular part of our church life and over the years we have increased the deliveries, now reaching 3000 cards. The fruits of this have been in new members joining us who have greatly helped our further growth. We were even able for a few years to ensure Knaphill had a lit Christmas tree each December. Not bad as the smallest church in town. Not content with this Richard set out to build links with the local schools and community. The church started attending 3 local fetes, handing out balloons, running crafts and meeting with local people. We hosted a husting as the election came around. Holiday clubs extended our pre-existing and highly successful toddler group and for a number of years we ran a Men’s breakfast, not to mention BBQs through the summer. We worked closely with the other local churches to run an Alpha course and a series of lent study sessions ecumenically. 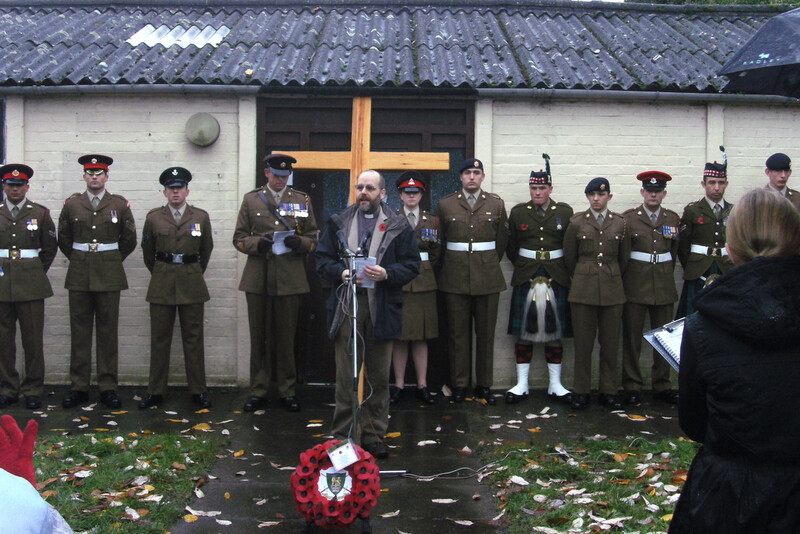 Richard also is credited with running the first Remembrance Day service in the village at the abandoned library site, first leading a group of church volunteers to clear the weeds and make the garden usable. The Remembrance Day service has now become part of ‘normal’ life in the village, attended by the armed services, local schools and led for a call for a memorial to be built in the town so such services can continue as the library site is redeveloped, a vision that came to fruition in 2017. In 2014 we began a process of analysis as to who we now are and where we are going, seeking God’s guidance. Sadly having guided us so well over the years and got us moving down new paths Richard felt called to pastures new, leaving our ranks in 2015 for a new ministry in Hull in Yorkshire. Richard leaves a stronger church, in growth not decline and his impact will be felt in the area for many years to come as noted in the local newspaper article celebrating his ministry. Following a short period of inter-regnum in 2015, ably assisted in the role of Moderator by Rev Mike Stanbrook, the church was delighted to unanimously call Rev Julia Binney to be their new minister who started in January 2016. The service of induction was held on 9th January with Mike presiding, Rev Stuart Davison, the BU regional Minister conducted the ordination, and Rev Dr John Colwell preached a short but very powerful sermon exploring the vital nature of ‘Servant Leadership’; you can read more here . Julia and her husband retired minster Jim brought a new focus to church life looking at how the church was placed in and serving the community, and the church appointed Jim as Community Minister within months of their arrival, with a remit to “be out there”, meeting the community around us. Julia encourage the church to move several years closer to the 21st Century with an active Facebook Page , sermons published on the internet thanks to SoundCloud , and brought a new and thoughtful approach to teaching, with a number of series of sermons looking deeply at what it meant to be a Christian, how Jesus helps those he calls, how to improve prayer lives and many others. These were often accompanied by detailed bible study notes used by the house groups to build on the Sunday teaching. Under Julia’s guidance, Church 4 Knaphill, the informal meeting of the 4 main denominations in Knaphill has also moved from strength to strength, continuing the Remembrance Day service in the village centre, still held on the site of the old library, but followings its redevelopment, in the specially created memorial area, and sharing the Christmas message through the singing and carols throughout the village in the run up to Christmas. Sadly Julia was called to leave Knaphill in late 2018 after just 3 short but productive years. We wish her and Jim every blessing in their new ministry at Abbey Baptist Church in Reading; they will long have a place in our hearts. So we enter 2019 looking to God for what He has in store for us next. Our eldest member, on being told the news in her hospital bed smiled broadly: “God must have something even better for us”. We look forward to that, both for Knaphill and for Julia and Jim in their new roles.